Notes: The older growth is very woody; the new growth very green and flexible. The flowers are rayless, white and small, ending in the usual puffball of seeds for a composite. 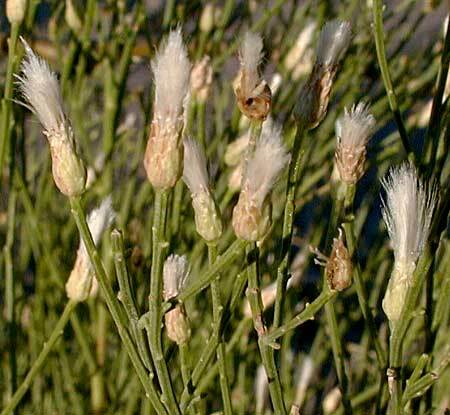 11 species of Baccharis in Arizona. Entries for Desert broom in the CalPhotos section of the Berkeley Digital Library Project can be seen.